It is well known that supermarkets often need a large amount of borneol or ice cubes for fresh-keeping in seafood or fresh meat. Not only can the foods be stored for a longer period of time without qualitative changes. 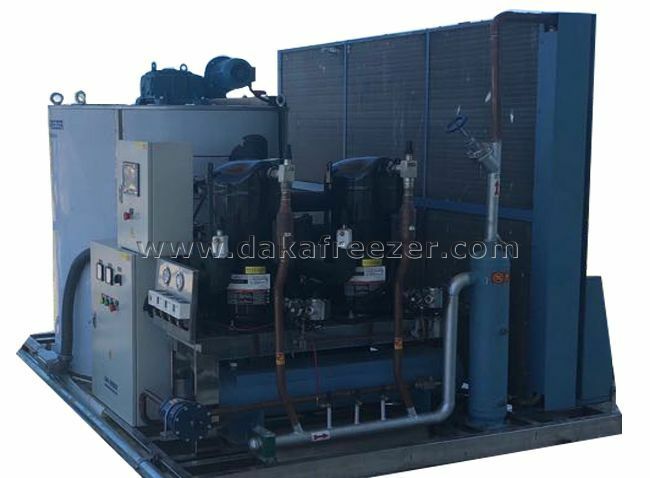 so it is necessary to use High Ice Efficiency Flake Ice Machine to make a large number of products. The borneol prevents food damage and maximizes the freshness of each product. In the field of poultry processing, the flake ice machine is often used for preservation. During the whole process of poultry processing, due to the influence of high temperature steam, it will have a certain impact on the taste of all fresh meat. Therefore, it is necessary to use a flake ice machine to make a large number of borneols to quickly lower the temperature to ensure the tender taste of the meat. Many merchants also use ice machine in order to better preserve vegetables or fruits. By making large quantities of borneol, they can better preserve vegetables and fruits, and can maintain their natural quality or food safety to the utmost extent. The natural cold source and wet and cold storage of the flake ice machine not only keep fresh and effective, but also keep the fruits and vegetables intact for a long time.